In my house we are big Football lovers. #BigGameAdvantEdge We live for the big game. If you come by my house anytime during the football season you will hear yelling, screaming, laughter and you may even see some tears. It is always such an exciting time. My husband can get pretty loud and heated during a game. I really think he believes the referees can hear him through the television. When we were younger (before kids) we use to go to the games and tailgate. We would drink too much beer and cook out for hours before the game even started. What a blast we use to have. Now that we are older we don’t have the time to tailgate. I love to bring some of the tailgate experience right to our house. 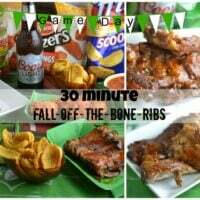 I make the best Fall off the Bone Ribs in just 30 minutes using my husbands favorite beer. Coors Light, a refreshing Light beer born in the Rockies. 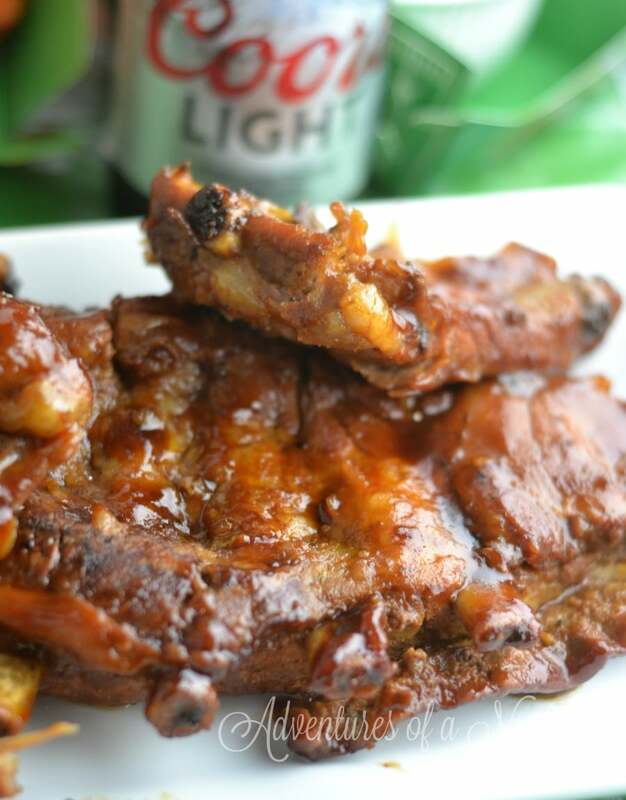 Coors Light is a smooth, and makes my ribs taste great and makes the meat fall right off the bone. 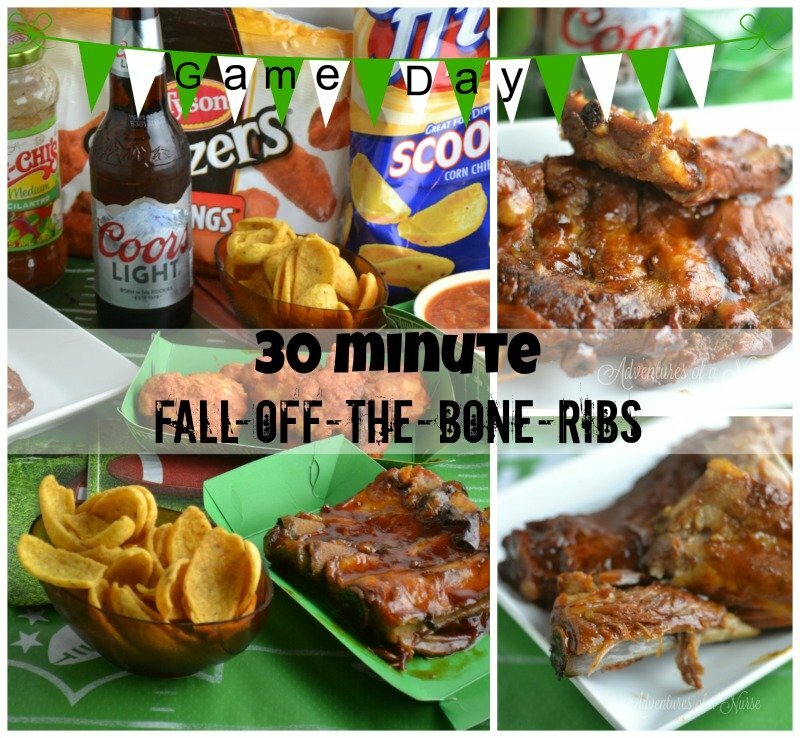 For 30 minute fall off the bone ribs, you will need: 2 racks of ribs, 2 cups apple juice, 1 Coors Light Beer, 1 cup of your favorite BBQ Sauce and my secret weapon the Instant Pot pressure cooker. Place your pressure cooker on saute add apple juice and beer. Place your ribs meat side down in the pot. Seal the pot and cook for 25 minutes on the meat/stew setting. Do a quick release. Remove Ribs and pour bbq sauce over the ribs. Place in your broiler for 2 minutes on each side. To pull off the perfect at home tailgate party I stop by my local Price Chopper and pick up all my supplies. Price Chopper had everything I was looking for and it was on sale. I found some Tyson Anytizers, Coors Light Beer, My favorite Frito lays and some Chi Chi’s Salsa. 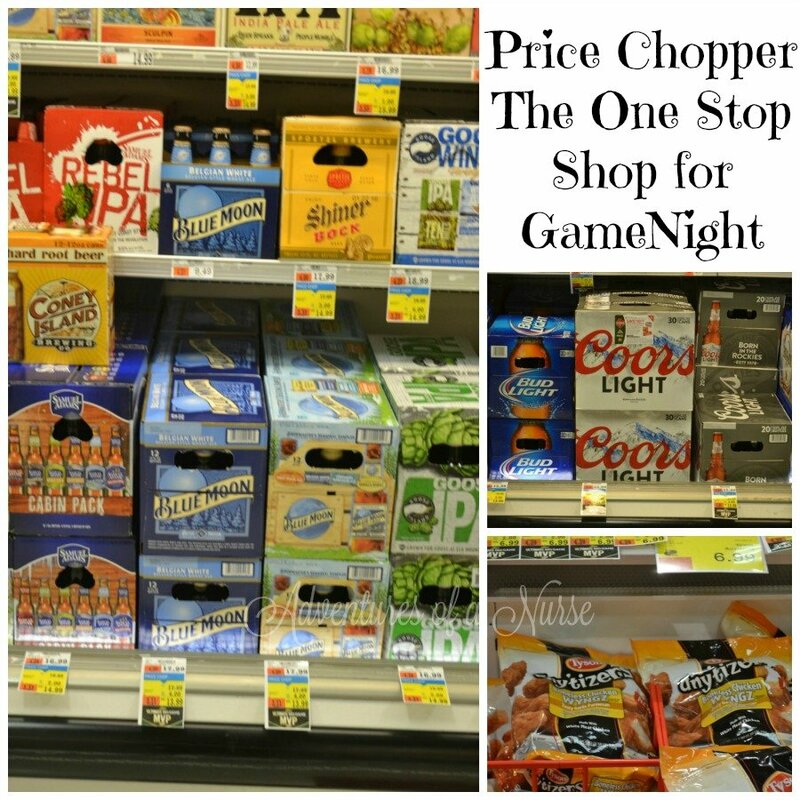 While you are at price chopper you can also pick up 2 single Topping pizzas and 2lb. wings for only $22.99. What more could one want for the big game day? Because of such a great experience that I had purchasing Coors Light at Price Chopper/Market 32, and the great drinks & fun times shared with friends, I always make sure to get Coors Light at Tom Cavalos, Tony’s Bar and Grill, & The Finger Bullet in utica NY. 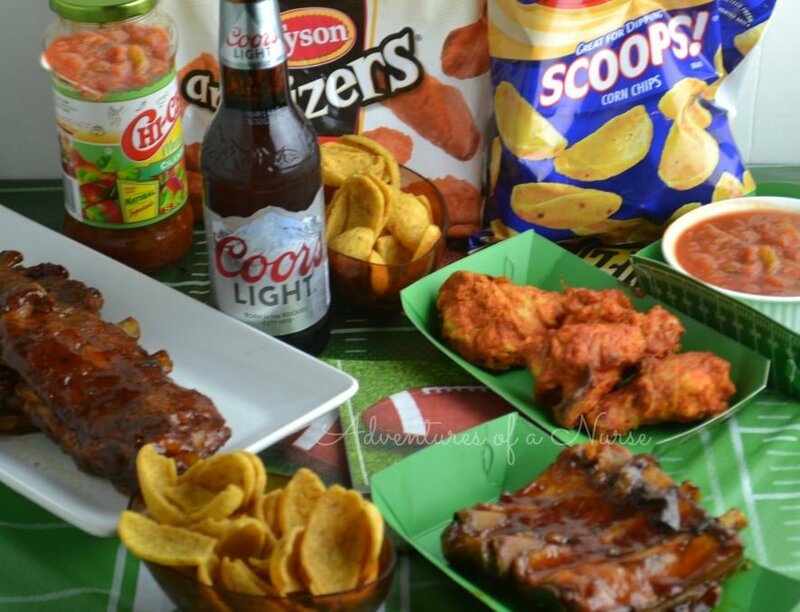 What does your family do to celebrate the big game? Place your pressure cooker on saute add apple juice and beer. Place your ribs meat side down in the pot. Seal the pot and cook for 25 minutes on the meat/stew setting. Do a quick release. Remove Ribs and pour bbq sauce over the ribs. Place in your broiler for 2 minutes on each side. 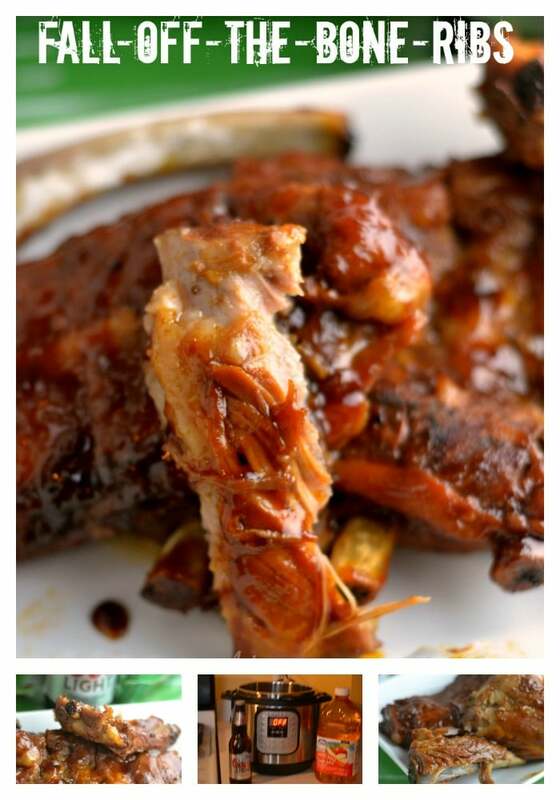 OMG, those ribs look to die for. I am off to do some rib shopping to make your recipe. Thank god, it is lunch time or I will be in a lot of trouble. lol, thanks for sharing! Is this the same PC that is on TV ads all the time? I think they sell it also at Walmart and you don’t have to pay shipping!! 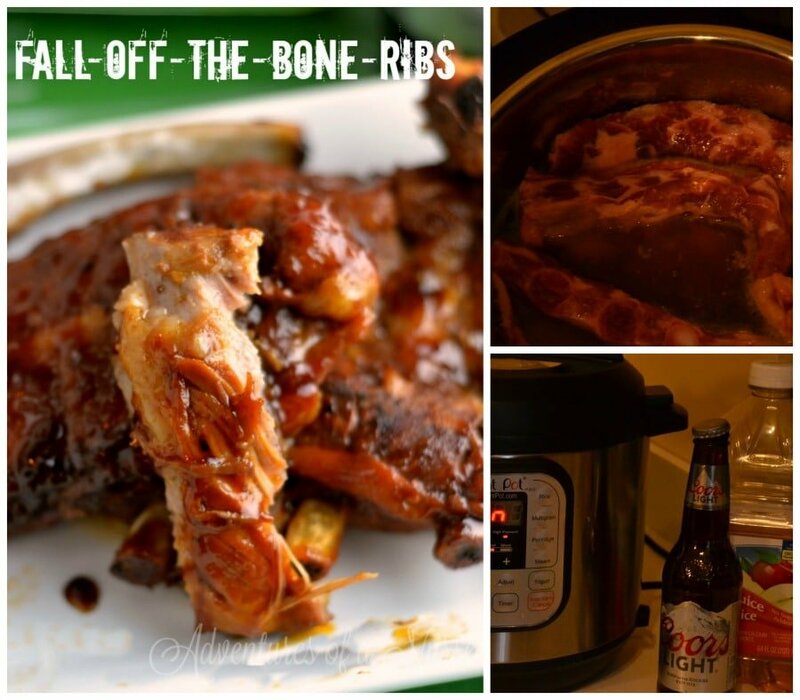 I’ve never tried a rib recipe using beer. I may try it over the winter break! These are mouth-watering! Can you make this recipe in a crockpot? I sent it to my friend but she doesn’t have an instant pot!